BarCamp ASEAN may have just ended recently, but there is still more BarCamp fun in store with its upcoming edition– BarCamp Battambang 2017! Set to happen on 25 to 26 November 2017 from 7.30am to 5pm at the University of Battambang, this technology and startup seminar aims to empower young Cambodian minds and impart invaluable knowledge to its attendees. With the same familiar set up that made BarCamp so popular and recognised, the event will focus mainly on the aspects of ”Technology Workshop” and “Business Launch” and will consist of exciting activities like an opening keynote speech and even a networking night to help connect the BarCamp community and give attendees a sense of how you can go from just an idea to a concrete startup solution. Similar to previous BarCamps, throughout the course of the days, attendees will still have the ability to speak directly with over 35 speakers from Phnom Penh and the Battambang province, who will be sharing about their rich entrepreneurial, tech and digital experiences. There will also be a sharing session of around 40 topics. This is where attendees can also expect to learn more about topics like the use of technology for learning, employment and relationships and business start-up knowledge, such as business ideation, exploration of business modelling, consumer awareness, product development and marketing services, business marketing, startup cost planning and so much more. Additionally, they will also get the opportunity to get inspired by presentations of young entrepreneurs’ products and services during a featured startup showcase and exhibition; making BarCamp Battambang an overall good opportunity for young entrepreneurs and businesses to come together, share experiences and build relationships. So if you are interested in being part of this wonderful event, do register here, free-of charge. 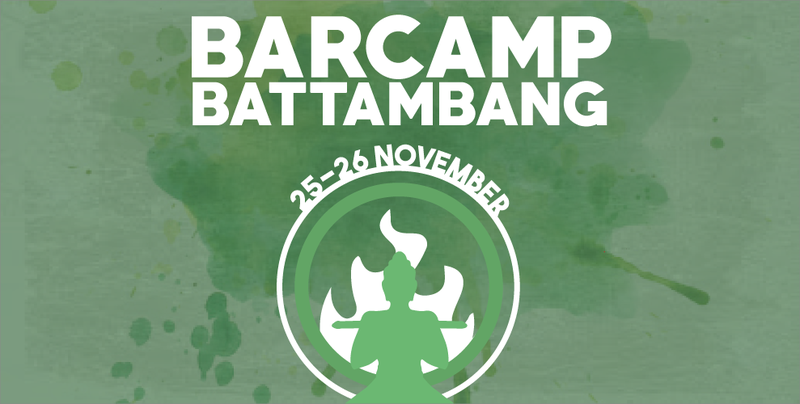 You can also visit BarCamp Battambang’s Facebook Page here for more updates and information. Alternatively, if you have any questions, you can contact BarCamp Battambang at 010 30 75 75 or drop them an email at info@barcampcambodia.org.